If there is one genre of gaming I have always been drawn to it has to be those grand space adventure games we saw so much of back in the 90’s. For years I thought we would never see another great game like FreeSpace, Wing Commander or Freelancer come along but VR is changing all of that. Now it seems as if every other month a new space based game is being announced and this time around it is Space Rift. 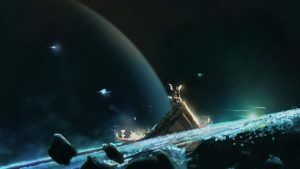 Space Rift is a story-driven space adventure that is specifically designed and optimized for VR headsets such as Oculus Rift, HTC Vive and PlayStation VR. 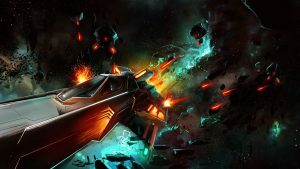 Space Rift features a cinematic story paired with gameplay and level design choices that make it a unique yet still somewhat familiar experience. The game provides players with a cinema style presentation that combines scripted missions and tons of dialogue played out by detailed characters. 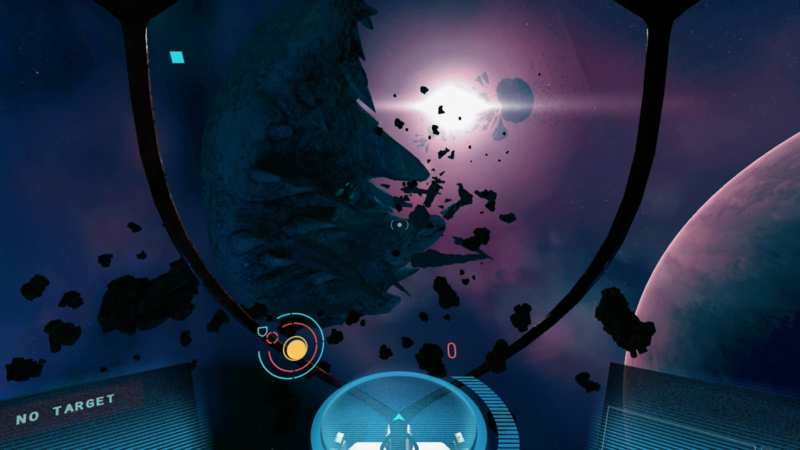 Unlike other VR mini-games and tech-demos, Space Rift is a complete game experience. 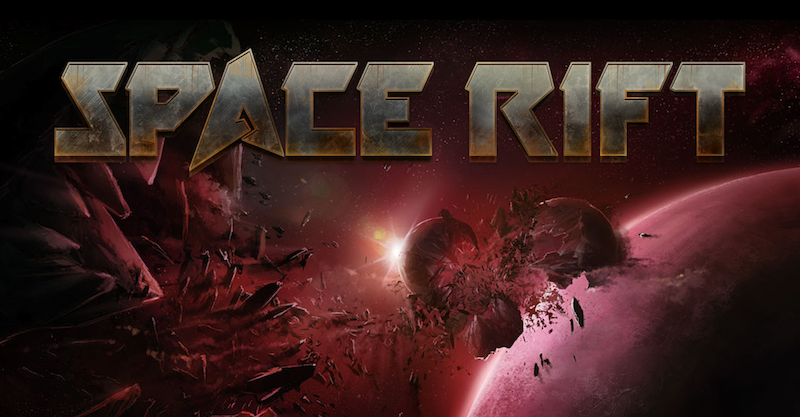 Space Rift’s game play is set against an epic story where Earth has been devastated entirely by a destructive meteor shower, thus forcing humanity to emigrate to Mars. 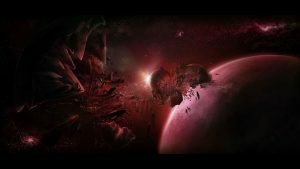 At the heart of the story humans have been enslaved by the WEYSS and PANDORA corporations and forced to carve out a miserable existence on the distant red planet. Players will slip into the role of the veteran pilot Casey, who dares to take on the hostile organizations in order to liberate humankind from their suffering on Mars. Throughout the game radio transmissions, newscasts and interactions with the non-player characters on the base station add new and thrilling details about the on-going conflict as well as revealing pieces of background information. I must say, I really liked playing this one! The flight mechanics are butter smooth, and the story is not half bad either. The game does have a few minor issues with scale in some of the cinematic sequences, but overall that was easy to overlook. The graphics were clean and the lighting was good as well. Space Rift also features good sound design with lots of voice overs to make the player feel like they are a part of the story that unfolds as the game progresses. 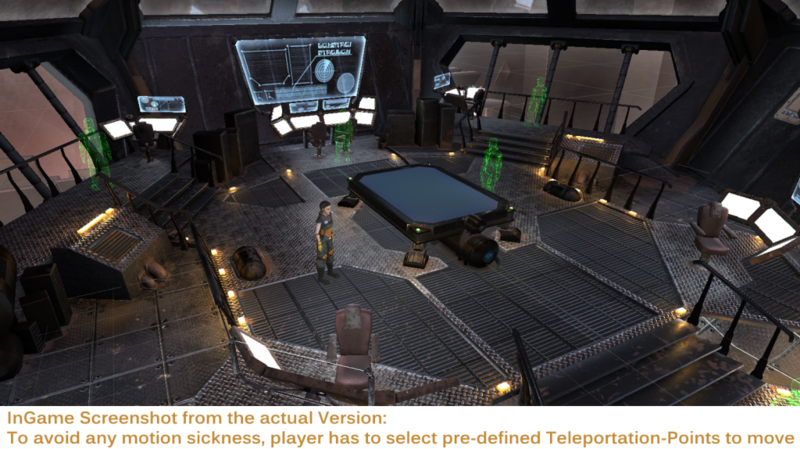 Although the game is mostly set in the cockpit of your ship, it does also have a station environment where players will upgrade their ship, talk to various NPC’s and take on missions. Once getting to the station players are forced into teleport locomotion in order to move. This is obviously a design choice to help alleviate the motion sickness that some players could experience. I do however wish that the developers would have included the option for traditional locomotion to accommodate those of us with strong VR legs, but the point and click style of the station environment is not a deal breaker. Overall I really liked playing Space Rift and I can’t wait to see more of the game. So, If your like me and love space based combat as well as story driven gameplay then I highly recommend heading to the link below to pick up a copy of this one. Really looking forward to this. VR needs a story driven space game and hopefully this will fill that role nicely. Yeah.. It was refreshing. I miss the grand old story based space games of the 90’s… Don’t get me wrong games like Elite and Eve Valkyrie are great but somewhat less rewarding without getting to that next cinematic sequence. For the moment yes.. But I have heard that the Devs are looking to add HOTAS support in an update soon. also, have you tried House of the Dying Sun? Yes.. I tried it and it was a good game.